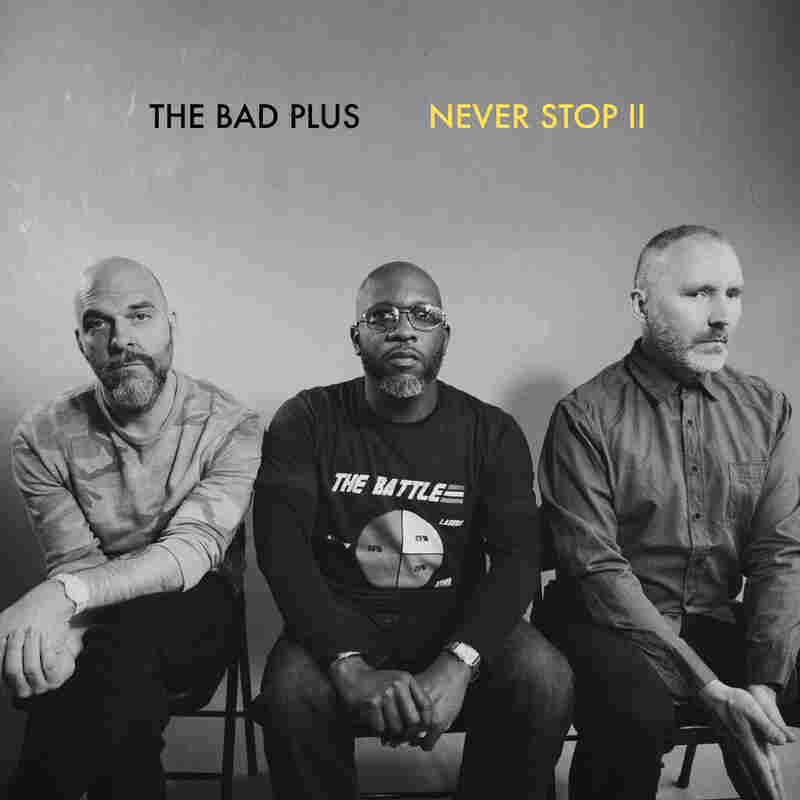 Review: The Bad Plus, 'Never Stop II' Each album by The Bad Plus can be understood as a planted flag, a marker of group identity. Hear the jazz trio's first record with new pianist Orrin Evans. A continuity and a break: That's the history of The Bad Plus in a nutshell. An acoustic piano trio with the combustion properties of a post-punk band, it emerged in the early 2000s to an uproar — its surging attack and shrewd repertoire were framed as a radical split from the jazz tradition. Gradually a more perceptive view emerged, one that acknowledged where the band was really coming from. Now the focus has shifted to where it's headed. The new year marked the end of the line for The Bad Plus as it had always been known, with Ethan Iverson on piano, Reid Anderson on bass and Dave King on drums. The reasons were complicated, and remain so. But the facts are plain enough: Iverson has left the band. His piano chair has been filled by Orrin Evans, whose first documented work in that role can be heard on a new studio album, Never Stop II. That title should be one clue as to the band's intentions. Never Stop, released in 2010, was the first album by The Bad Plus to consist entirely of original compositions. That's true again of Never Stop II, which features four songs by Anderson and two apiece by King and Evans. Each album can be understood as a planted flag, a marker of group identity. But the transition at hand is cause for close inspection, a reflection on what's changed and what remains the same. Evans is a highly esteemed pianist with post-bop dynamism in his bloodstream, and it's illuminating to hear him in this mode, expressing a strain of somber yet delicate grandeur long associated with Iverson. There are about as many commonalities between the two pianists as there are differences: both revere Thelonious Monk, and both excel along the fault line that divides lyrical ardor from turbulent abstraction. In jazz-canonical terms, Evans runs a little less Paul Bley, a little more Andrew Hill. The specificity of Anderson's language as a composer is evident not only in the stately churn of "Hurricane Birds" but also in the marathon stride of "Trace," the pointillist shimmer of "Safe Passage" and the dawning epiphany of "Salvages." To a slightly lesser extent, the same could be said for King, whose "Lean In The Archway" is an episodic highlight here, and whose "1983 Regional All-Star" is the latest installment in an amusing mock-heroic series. But Evans' two compositions might be the most fascinating on Never Stop II, for what they represent. "Boffadem," with its prowling bass vamp and kalimba-like toy piano part, brings a West African influence of the sort that Evans has explored in other bands (notably another collective trio, Tarbaby). And "Commitment" opens like a Brad Mehldau ode before lurching into fever-dream mode, intemperate and roiling. It feels like Evans' vision for what The Bad Plus is about. Crucially, he's coming with clear respect for what came before him, even as he forges ahead. Stay tuned for a forthcoming episode of Jazz Night In America about The Bad Plus, featuring footage from Evans' first public appearance with the band, at Jazz at the Bistro in St. Louis, Mo.